Casio is a brand with a history of having a fairly large audience of fans, as well as truly Japanese approach to marketing moves with extraordinary for the European consumer initiatives. 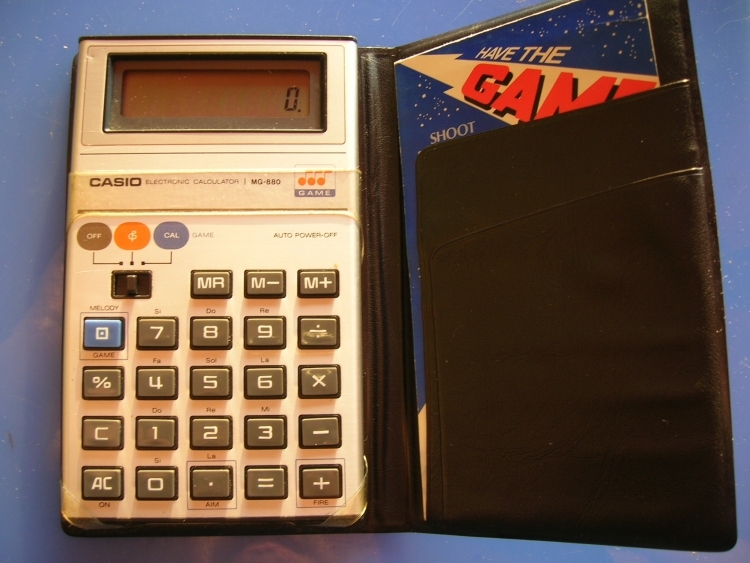 For example, Casio continues to produce calculators and does not consider them as something archaic in the era of advanced gadgets which may be necessary to establish specific mathematical computing software. However, to neglect their traditions, the Japanese manufacturer does not intend to in the future. Moreover, the management of Casio has announced the re-release of the popular music of the calculator MG-880. This device allows not only to skillfully handle the numbers, but also provided an opportunity to brighten up leisure in their spare/work time for the exciting mini-game. Recall that the original version of the MG-880 was released in 1980. It has become not only a reliable assistant in mathematical calculations, but also introduced the interpretation of video games Space Invaders, interface which made the numbers on the LCD display of the calculator. In the new edition of Casio MG-880 will appear in the land of the rising sun 23 March. The calculator will get the built-in game based on the interaction with numbers, will provide musical accompaniment in addition to the standard set of functions and will be able to charge from a light source. According to preliminary data, the cost of Casio MG-880 in the local market will be about $19.